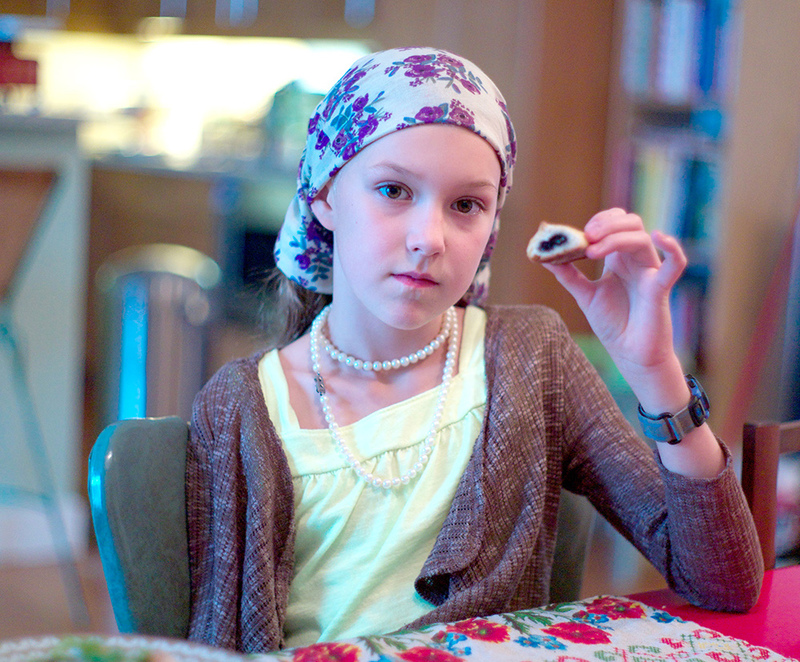 This is the first installment of Valerie Stivers’s Eat Your Words column. In St. Petersburg, Russia in the 1830s, peasant style was fashionable, literature was becoming more democratic, and, somewhat weirdly, the poet of human baseness, Nikolai Gogol, was producing some of the best food writing to be found in the Russian canon. His eerie and baroque first collection of short stories, Village Evenings Near Dikanka, is a series of narrations by a beekeeper to the folks gathered in his cottage at night as they’re served snacks: “Delicious beyond description! … Pies you couldn’t imagine in your wildest dreams: they melt in your mouth! 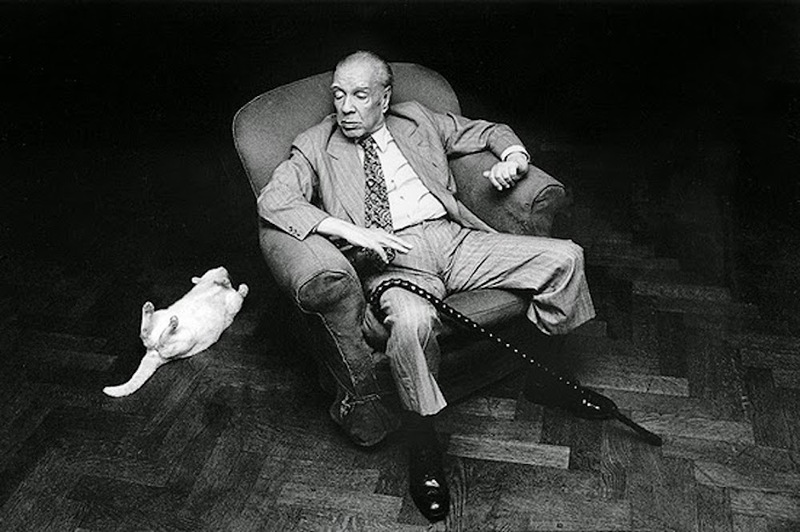 And the butter—it just runs down your lips when you bite into them.” Every time I read Gogol, I want to cook like the Ukrainian housewives in his stories. In this post, I try to re-create a spread from the 1959 edition of Gogol’s collected works. The story “Old World Landowners” is about “solitary owners of a remote village” who are “delightful in their simplicity,” but who are revealed to be lazy and ineffectual managers of their village. Their ceilings are covered with flies; their forests are denuded by theft; and both eventually die a dim, willful, and superstitious death involving an ominous little cat. But the lady is a good cook and neat housekeeper, and this may be what matters most. 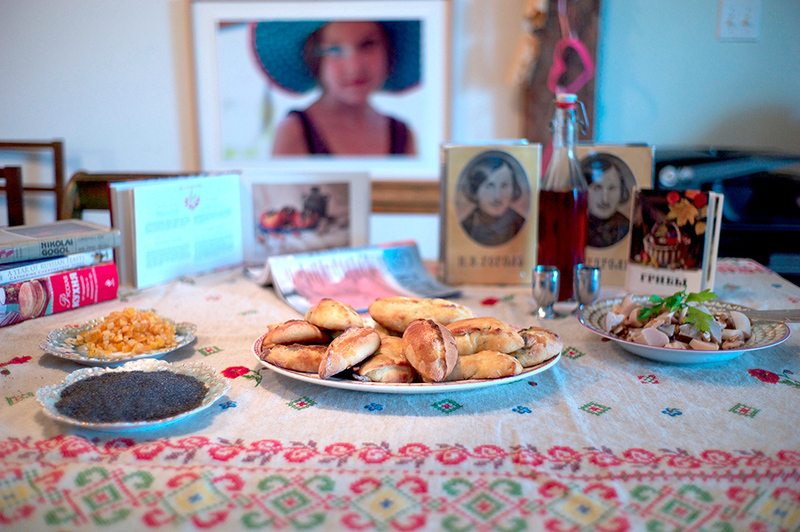 When her husband wants a mid-morning meal, the woman whips out poppy-seed hand pies, pickled mushrooms, and a silver goblet of vodka at ten in the morning, which sounds delightful—and very Russian. The following recipes are mishmashed by me from a variety of sources, including my own ways of doing things, Anne Volokh’s The Art of Russian Cuisine, user recipes on good-menu.ru, and the nineteenth-century culinary bible A Gift to Young Housewives, by Elena Molokhovets. 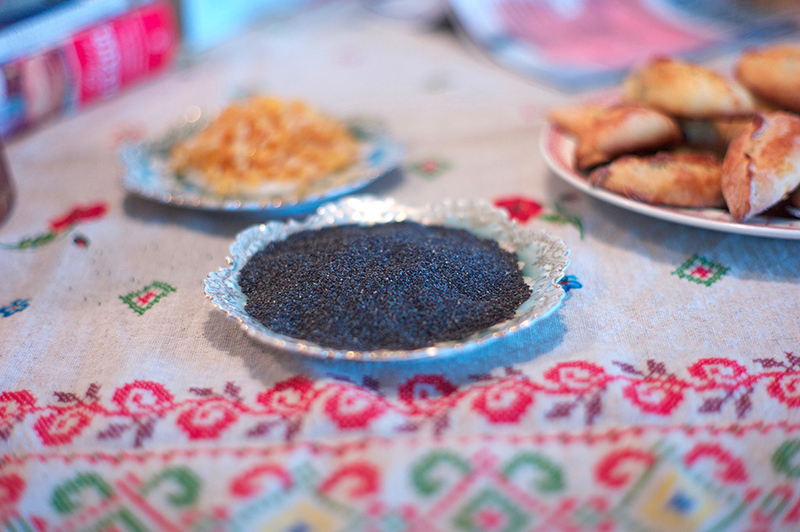 I learned that poppy seeds are difficult to find in quantity in Brooklyn and are smaller, drier, and less aromatic than those found in the Russian countryside. (They’re available at a good price at Sahadi’s on Atlantic Avenue.) Also, they’re very difficult to wash out of a sieve. 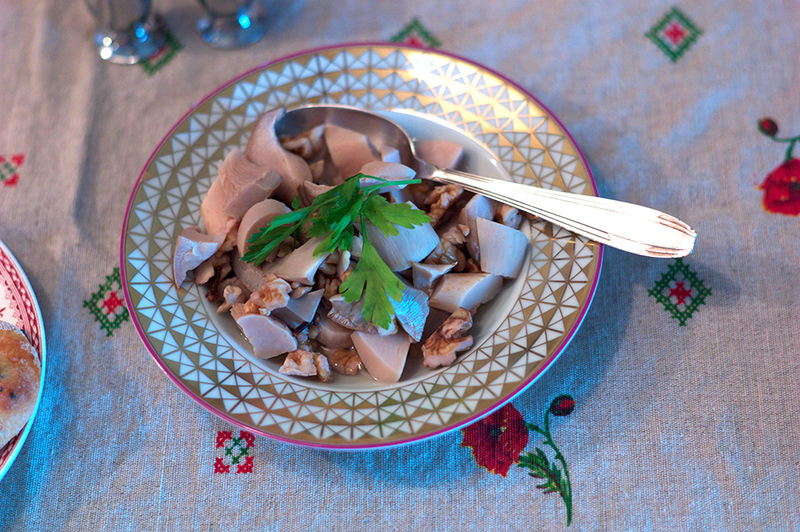 The housewife from the story served a type of pickled mushroom, foraged in the countryside, called ryzhinki (“red pine” or “saffron milk cap” in English, possibly), which I’ve never seen in America. The closest I could get to a meaty wild mushroom of its type was a selection of king-oyster mushrooms from the Union Square farmer’s market. But this just in (too late for my own cooking): gourmet markets like Union Market in Brooklyn appear to have fresh chanterelles, a cult mushroom of the Russian countryside, in season now. 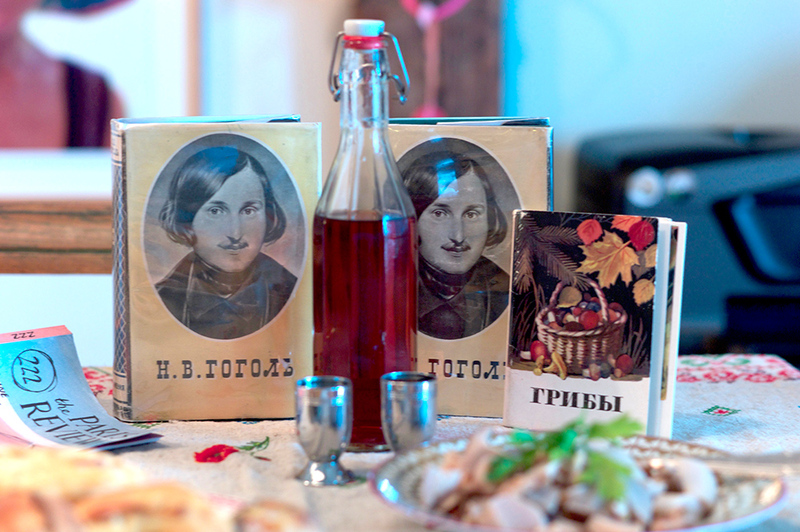 Gogol’s heroine made her marinades either with black-currant leaf (in season in August), wild thyme, or cloves and walnuts. I adapted a favorite marinade to include the latter. 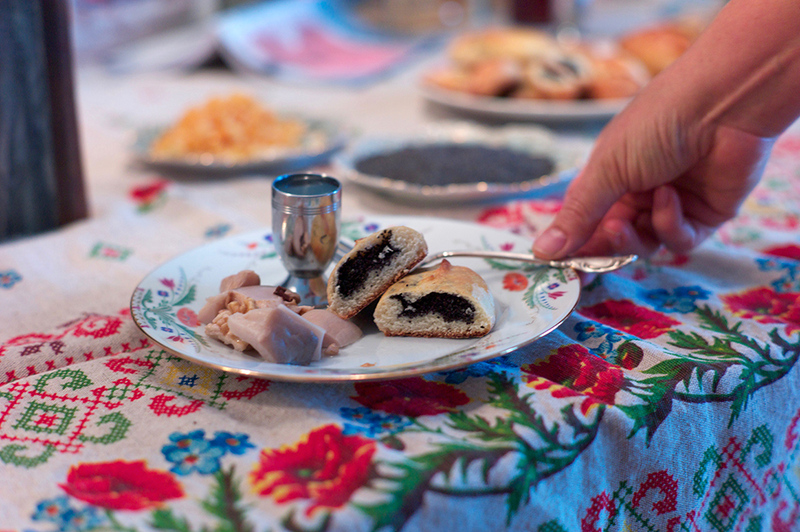 The resulting meal, which my husband, children, and I ate as a predinner snack, was an unusual but striking combination of honey-drenched poppy seeds wrapped in soft bread, and toothsome and bracing bites of mushroom. —Prove the yeast by mixing it in a bowl with the half-and-half, 1/2 tsp sugar, and 1/2 tsp flour, and then placing it in a bowl containing hot water for 10 to 15 minutes, until it starts to puff up. —Add the eggs, butter, salt, and remainder of the sugar; beat or stir for a few minutes to combine. —Add the flour gradually, a half cup at a time, until the dough is dry enough to handle, then turn out on a floured surface to knead. The finished dough should be smooth and elastic. —Set the dough in a greased pan and let it rise until it has doubled in bulk (1 1/2 to 2 hours). 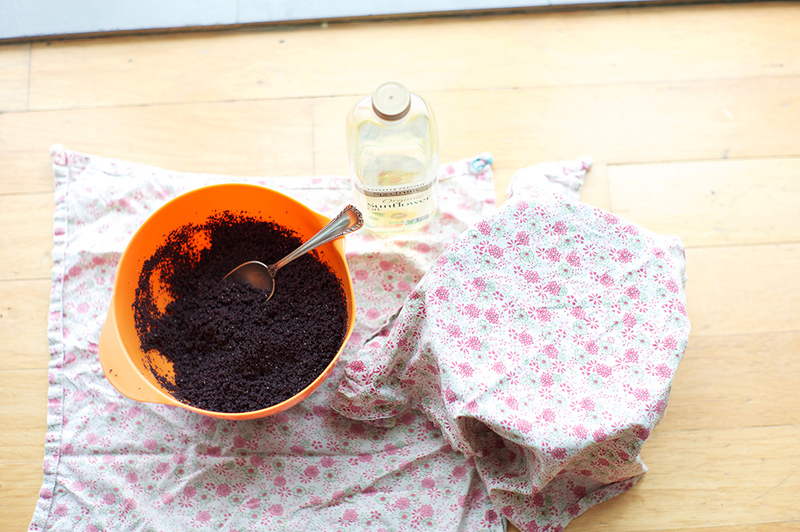 —Boil the poppy seeds in milk for 5 min, let the mixture cool, then drain and dry completely with paper towels. —Optional: pound in a mortar and pestle or give it a whirl in a food processor to break down the seeds. —Whisk together one egg and a few tablespoons of hot water to make an egg wash (milk also works). —Shape the dough into a long sausage, about 1 1/2 inches thick, then chop into 1-inch pieces. —On a well-floured surface, roll the pieces one at a time into an oval shape about 1/4 inch thick. 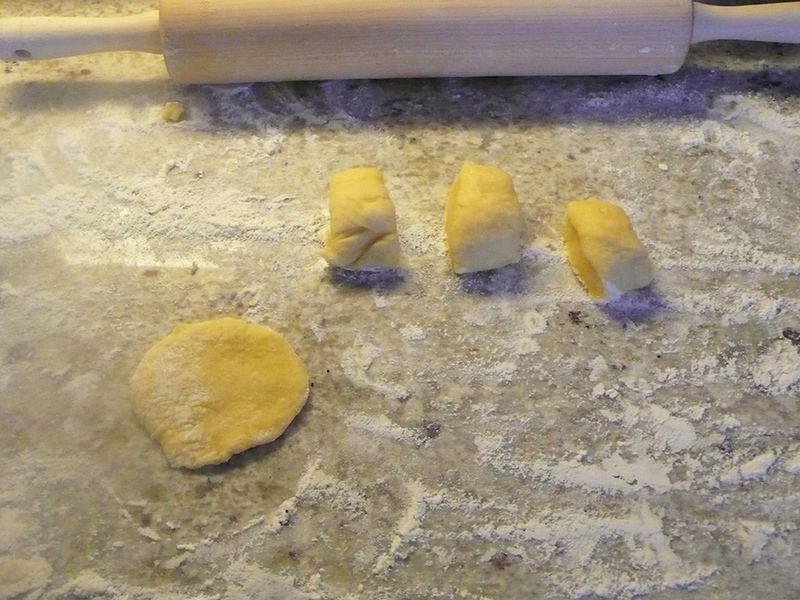 —Dab a tablespoon of filling in each pieroshki, then fold short sides together, and pinch the seam until it sticks. 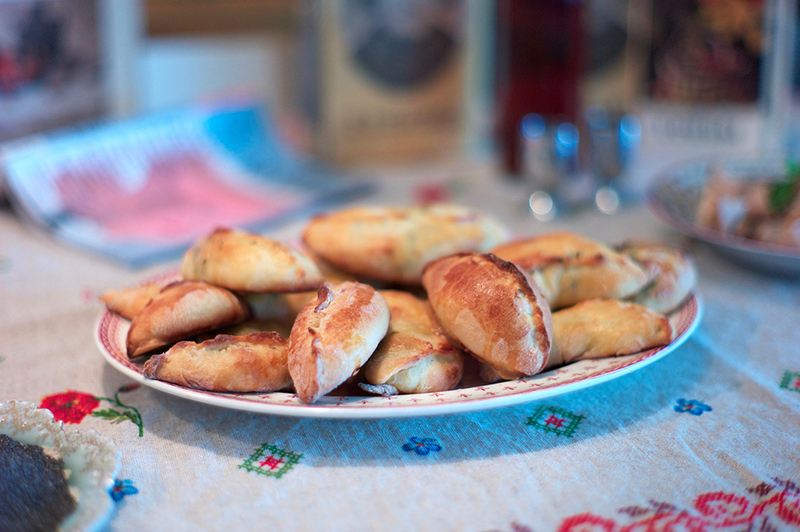 —Place on a cookie sheet and give the formed pieroshki 20 to 30 minutes to rise again. —Brush with egg wash and bake for 15 to 20 minutes, until cooked. —In a small saucepan, combine the marinade ingredients, bring to a boil, remove from the heat, and cool. —Bring a medium saucepan of salted water to a boil, add mushrooms. Boil until mushrooms are cooked but firm, around 3 to 5 minutes. Drain and cool. —Combine nuts, mushrooms, and marinade at least two hours before serving and preferably overnight. Chill. —Drain and sprinkle with chopped parsley to serve.